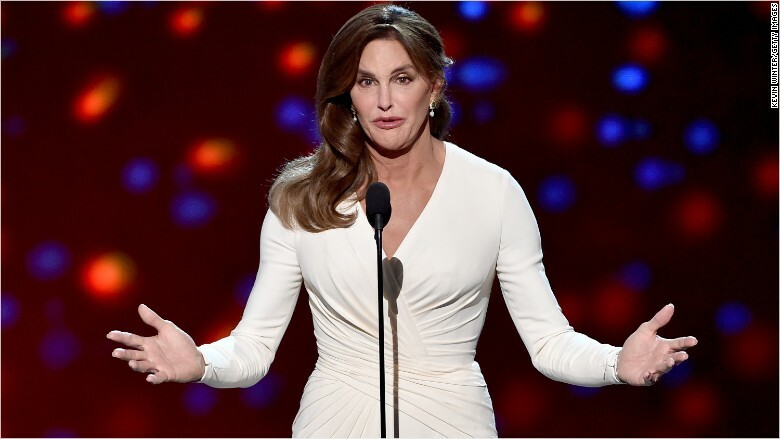 Caitlyn Jenner was awarded the Arthur Ashe Courage Award during Wednesday night's ESPYS. The ESPYS had a record ratings night on Wednesday thanks to a move to ABC and a moving speech by Caitlyn Jenner. The sports-oriented ESPN awards show pulled in 7.7 million viewers airing on its sister network ABC. This was a 250% boost from last year's telecast, which was on ESPN and had brought in 2.2 million viewers, according to the network. The awards hit its viewership peak from 10 p.m. to 10:30 p.m. when it brought in roughly 8.5 million viewers. The show went up 1.9 million from its first hour to its final hour. One of the reasons more viewers may have tuned into the ceremony's final hour was due to Jenner taking the stage to accept the ESPYS Arthur Ashe Courage Award. In a poignant moment, Jenner gave her first speech since identifying as a transgender person. Using the national platform, Jenner said that her story was not about her, but rather "all of us accepting one another." "If you want to call me names, make jokes, doubt my intentions, go ahead. Because the reality is, I can take it," Jenner said. "But for the thousands of kids out there coming to terms with being true to who they are, they shouldn't have to take it." 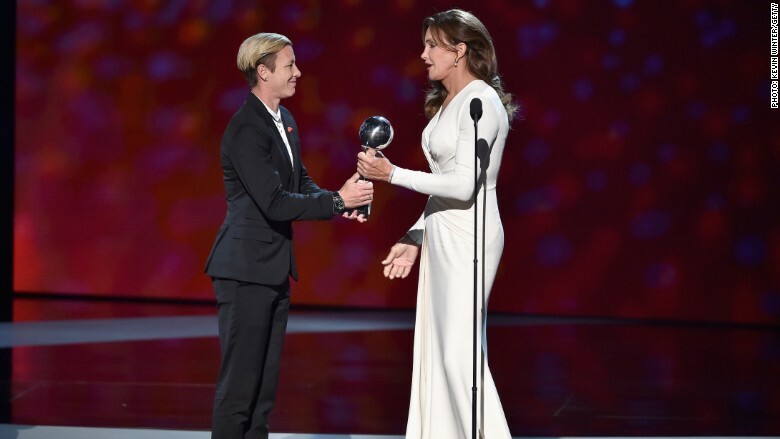 The award was presented to Jenner by Abby Wambach, who -- along with her U.S. women's national soccer teammates -- went on to win the ESPY for "Best Team," the night's big award. The record numbers looked to also be boosted by a move from the cable channel ESPN to the national broadcast network ABC. The award show was big on social media bringing in over 1.2 million tweets on Twitter.